Howard Milove is a principal and senior wealth advisor with Access Wealth (as well as its affiliate, EKS Associates). A Certified Public Accountant and Personal Financial Specialist, he has more than 20 years of experience in the fields of financial planning and asset portfolio management. As a member of the firm’s Investment Committee, he is responsible for managing the firm’s investment strategy, as well as selecting and monitoring the investments and managers recommended to clients. Howard’s client base is diverse and his hands-on style is evident the moment you meet him. He works closely with small business owners and young professionals, as well as individuals planning for or already in retirement. Every financial plan is tailored to meet their needs, taking life goals into account, as well as financial needs, risk tolerance, and time horizon. Recognized as a 2019 Five Star Wealth Manager, Howard has appeared in The New York Times, The Wall Street Journal, Accounting Today, and The Star-Ledger; and contributes to the firm’s quarterly newsletter, Access Insights. He taught “Investment ABCs” at the Princeton Adult School and “Financial Strategies for Successful Retirement” at Fairleigh Dickinson University and Bergen Community College. Howard’s prior experience includes holding positions at a prominent New York City accounting firm, as well as one of the largest financial institutions in the country. He earned his Bachelor of Science degree in Accounting from Syracuse University, and later obtained his Personal Financial Specialist (PFS) designation, which is only granted to CPAs who meet stringent requirements of the American Institute of Certified Public Accountants (AICPA). 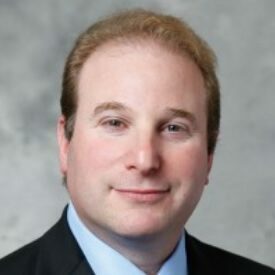 He is a member of the AICPA, the State Society of Certified Public Accountants for both New York and New Jersey, and the Financial Planning Association.